Even with the growth of the Internet and its explosion into the business world, the best way to reach out to people, whether other businesses or individual clients, is still via the telephone. Not only is the majority of daily business communication around the world conducted by voice, but telephones are ubiquitous. They are on every office desk and in practically everyone’s pocket. Considering that, growing your business by making connections is still best done first over the phone, and then face to face. From appointment setting to gathering information about potential new customers for your services, generating and following up leads on the phone is a method proven to work. 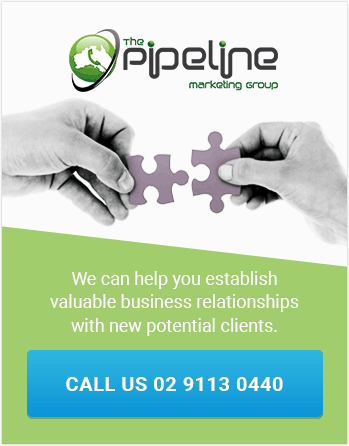 The Pipeline Marketing Group, now operating for nearly a decade, provides a comprehensive set of telemarketing services to Melbourne businesses and others across Australia. Remove the burden of dedicating time and staff to telemarketing on your own and allow our experienced team to explore this avenue for you. Expand the reach of your brand, capture new clients, and even gauge interest in corporate events. The positives that come from being proactive about your business are many. For every business serious about growth, there will be different telemarketing services in Sydney to leverage for the most success. Here is a little bit of what we do and how your business could utilise each service. Telemarketing script development: We coordinate with you to develop a unique, effective script to use when contacting leads. As a primary area of competency for us, this is among the most useful telemarketing services in Surry Hills. Information gathering: Collect customer data and other vital info for making business determinations with phone surveys, administered as part of an overall campaign or separately. Lead generation services: Make connections, build new business relationships, and drive sales; whether you require cold or warm calling, we will start the conversation for you. Client retention services: Check in on your existing clients, discover areas where you can innovate or grow, and uncover new or unresolved pain points to remedy for your customers. In every one of our interactions in providing Sydney telemarketing services, we strive to deliver the exact same customer service experience your own representatives would. Our goal is to make each client or lead feel as though they are dealing directly with your business. Our agents are highly trained in methods and practices to provide businesses in Sydney with telemarketing services they can count upon as wholly reliable. Whether you have a marketing campaign to undertake or you want to put a survey in the field to learn about your customer base, The Pipeline Marketing Group has the skills and staff necessary to accomplish the job with distinction. We believe in building up our customers, too, and providing you with total access to the process. Transparency is an important function of our business. If you would like to enlist our Surry Hills telemarketing services for your company, please get in touch. Reach us on 02 9113 0440.